pow wow carrot cookie | eating with S.O.L.E. That was my baking piece-de-resistance. 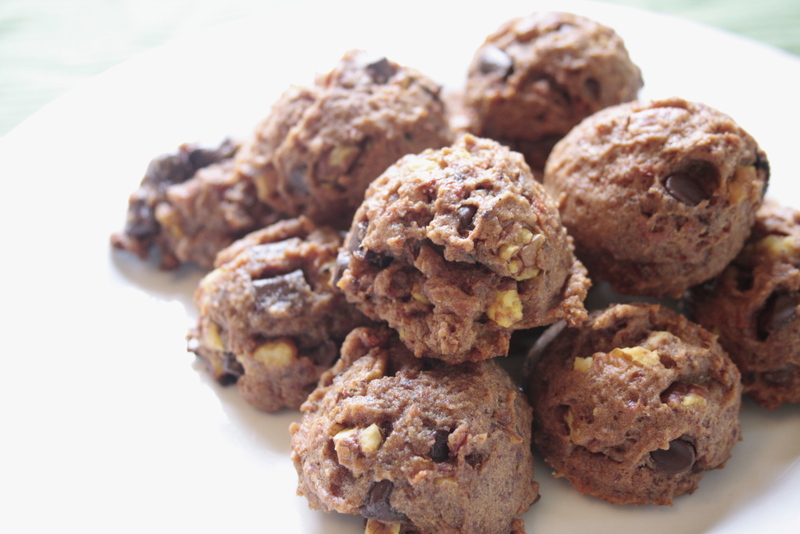 About 11 years ago I was developing vegan and gluten free recipes for my new organic wholesale bakery when I created the most amazing vegan cookie ever! People still talk about it and just for fun, I googled it, and found a number of bloggers trying to replicate this baby! It is truly a knock out cookie. I sold the company years ago, and signed all sorts of legal agreements swearing me to cookie secrecy, which as it turned out was unnecessary because I lost my book of test recipes, and sadly and have never been able to recreate the prefect batch of pows until now! This months Burwell General Store recipe swap called for a carrot pie, that recipe read a whole lot like a sweet potato pie I used to make for holiday meals, and in fact that pie is how I ended up creating my famous sweet potato pow cookies… which got me thinking.. how about some sweet roasted carrot pows? Oh ya. Just 1 attempt and it yielded the perfect ‘just like the old days batch of intensely deep roasted soft chocolatey nutty parcels of carrot heaven! The smell really took be back to days of baking in the BIG kitchen in high heals rushing off to some big sales gig! ‘Ha ha what a long way from that I am now, as I duck out in my wellies to feed the chooks! Portion dough on to parchment lined baking sheet and bake at 300 for about 20, until the bottoms are just toasted and the tops no longer appear wet. Allow to cool completely before you start shoveling them into your mouth one of two cookies at a time. This is a big batch so be sure to share lots, make some new friends! 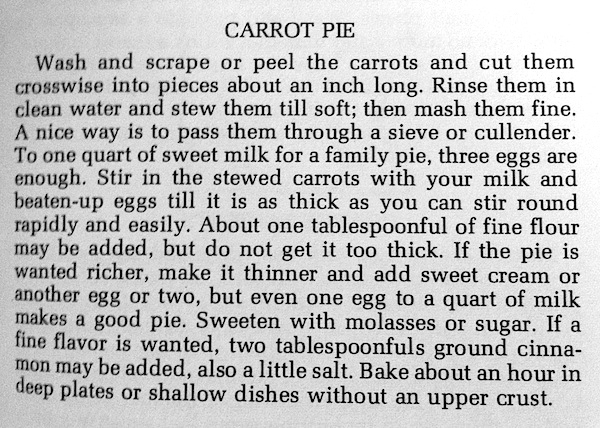 Make sure you take some time to enjoy all the other recipe swap challengers take on this carrot pie! 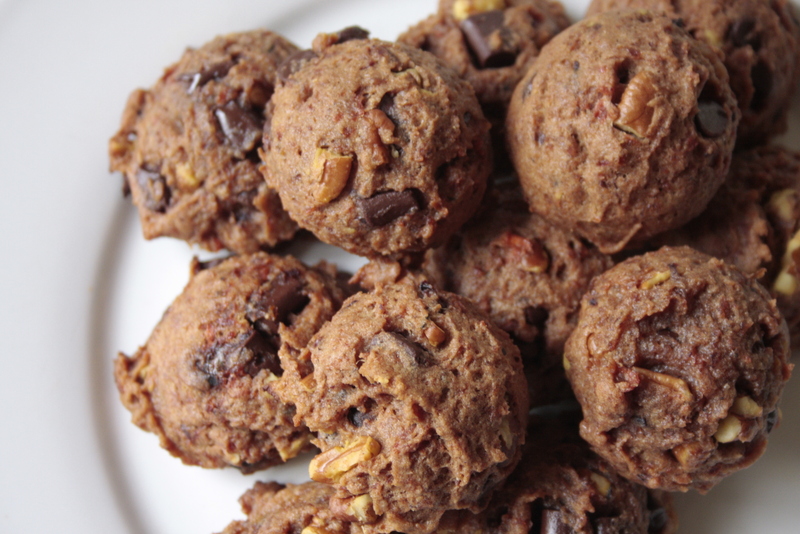 I would love to get my hands on that Sweet Potato pow cookie recipe! They sound delicious, and so do these. Pinning the recipe. Great swap! yes! I know some people who would just love these cookies! I love how you used carrot puree! These cookies look absolutely perfect! They have everything I look for in a cookie, including healthy ingredients. I’m adding these to my Fall baking list asap! It sounds like you have a fascinating background in the food industry. I’m jealous! Wow these sound and look amazing! I really like that you roast the carrots first…I bet that really give a richness to the flavor…and chocolate chips and pecans? Yes please! Yeah, they look great. I would mow down than entire plate and not look back. They sure look great! I would love to have a taste too!